Don't Pay That Red Light Ticket! You need to talk to us before you pay that Red Light Ticket! You know that a red light camera ticket can cost over $500 but "Big Brother's" cameras are not invincible and they do make mistakes. Before you send off that ticket or worse yet, ignore it, contact us, we can save you money! A red light camera ticket won't just mean a fine but if points are attached to your license the cost can be in the thousands in increased insurance premiums. Don’t Rat Out Your Friend or Family Member! The 5th Amendment of the United States Constitution affords you the absolute right to remain silent – that means you DO NOT have to fill out that nomination form telling the police who was driving your car. You have no obligation to assist law enforcement. CLICK TO READ: What are my options if I’m not the driver? It is extremely important to take care of your traffic tickets. The California state legislature has steadily increased traffic ticket fines to the point where a single red light camera ticket, if ignored, can balloon to a fine of over $800, and a hold will be placed on your license. In addition, a conviction for running a red light will result in a “point” on your record, which will likely increase your auto insurance premiums. Four points in a year, or six in two years, or eight in three years can result in your license being suspended. A violation received by a commercial driver carries one and a half times the point count normally assessed. 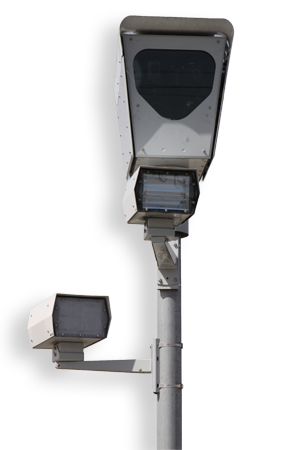 However, with an experienced attorney on your side, it is possible to fight your red light camera ticket to the full extent of the law. You are entitled to a trial before a judge where the prosecution must prove beyond a reasonable doubt that you committed every element of the infraction alleged. There are a multitude of defense available to fight your right light camera ticket. Of course, the goal of every case is to get the ticket dismissed. However, if that is not possible, an experienced and knowledgeable attorney may still be able to have the ticket amended to a non-moving violation, saving you the point or traffic school, and the fine reduced. If you retain an attorney, it will not be necessary for you to miss several days of work to contest your undeserved traffic violation. Your attorney can make all appearances on your behalf. If you feel you have been charged with an unfair traffic infraction, or cannot afford the point on your record, contact the Law Office of Scott R. Ball today.